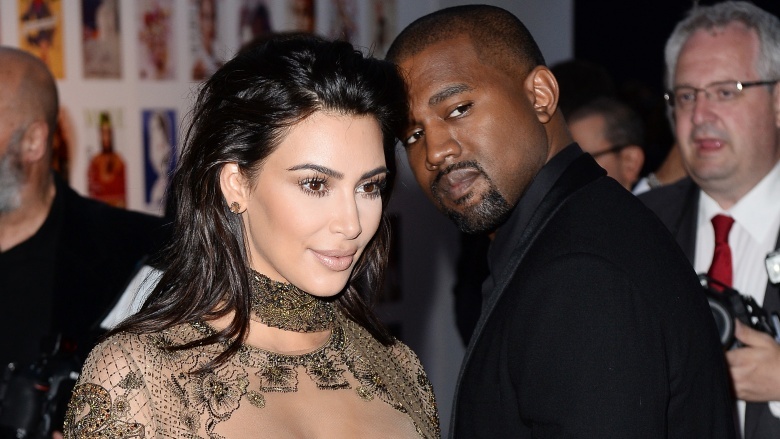 Kim Kardashian and Kanye West can afford to live blissfully in the lap of luxury. The Blast reports that West is valued at near billionaire status thanks to his Yeezy fashion line alone, and yet, this couple's living situation sounds like sort of a disaster. The couple is constantly traveling, but often not as a unit. 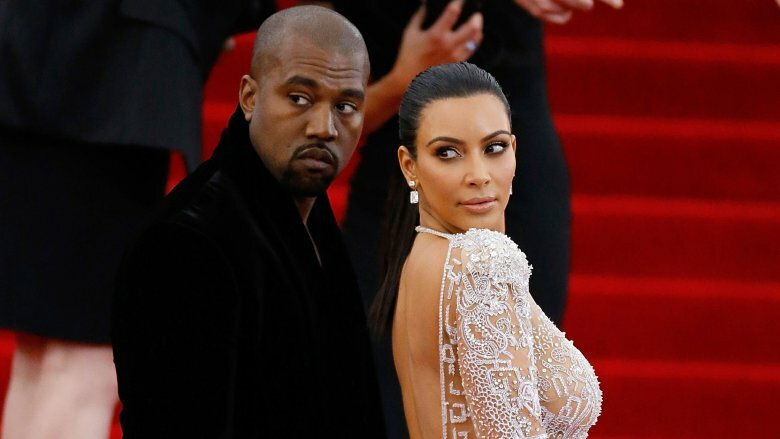 Kimye lived separately for months following West's reported breakdown in November 2016, and the pair's lifestyle changed drastically after Kardashian was robbed at gunpoint in Paris. Their family keeps growing and now includes daughter North, son Saint, and baby girl Chicago. From blowing tons of cash on homes they don't live in to constantly being surrounded by family members, photographers, and fans, here are just a few reasons why this famous couple's super-swanky living arrangements may seem truly bizarre to the rest of us. Kim Kardashian and Kanye West purchased a 10,000 square foot Bel-Air mansion in a gated community in 2013 for a whopping $11 million. However, TMZ reported that it wasn't good enough for the couple, who immediately "gutted" the property to build a 14,000 square foot dream home in its place. By the time renovations were complete, the couple had seemingly lost interest. They moved in briefly in 2016, but the home was already on the market for $20 million. E! News reported that Kardashian and West had grand plans for a Hidden Hills mansion in the same neighborhood as her mom, Kris Jenner. 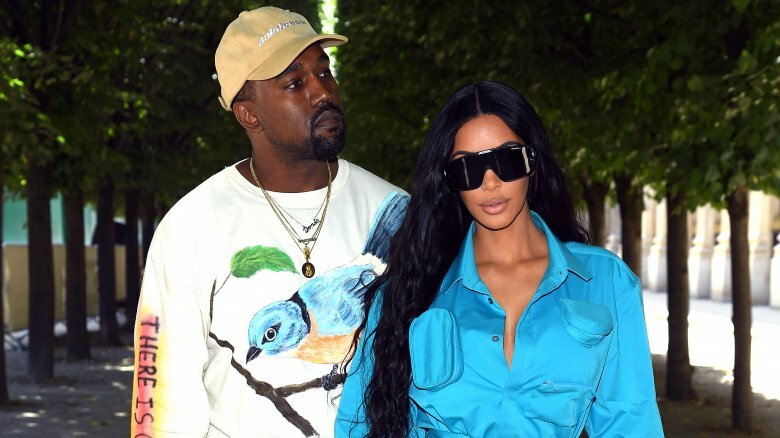 According to TIME, Kimye purchased the property in 2014 for $20 million, spent at least another $20 million renovating it, and finally moved in around December 2017. The casa renovations reportedly included a two-story playroom, a full salon and massage parlor, a recording studio, spa, full-sized movie theater, and basketball court. TMZ reported that Kardashian isn't happy that they've sunk so much cash into their homes. 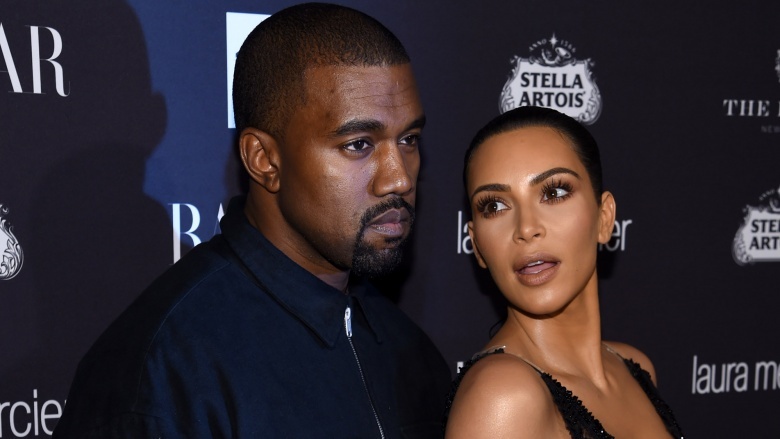 Sources claimed it was Kim K's money bankrolling the home improvements and alleged West's ever-changing mind was to blame for the hefty price tag and big delays. 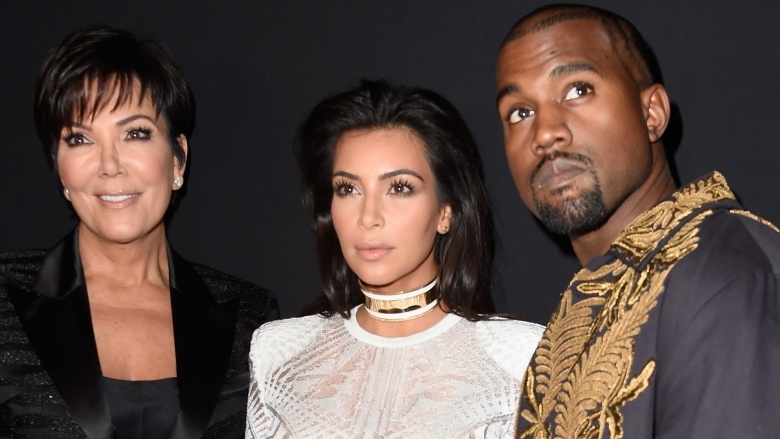 Kardashian and West lived with matriarch Kris Jenner while they renovated their own homes. Rumor has it, no one was particularly thrilled about that situation. "I am so ready to be out of my mom's house, you have no idea," Kardashian told People in August 2014. "But it will be nice to still be close." In a December 2015 episode of Keeping up with the Kardashians, Jenner and Kardashian have it out over their living arrangements. Kardashian, who was pregnant with son Saint at the time, mentions that she and West are thinking of having a third child but complains that Jenner's house is too noisy for them to live in comfortably. Jenner reminds Kardashian that it is her house and that part of the reason it's so loud is because there are a lot of guests staying there, presumably free of charge. Jenner's boyfriend, Corey Gamble, mediates an agreement to minimize the amount of people in the house at once — especially in the bathroom, since this crew apparently houses an entire glam squad every single day. That wasn't the only conflict in Jenner's casa. Kardashian also reportedly complained about the volume of Jenner and Gamble's recreational activities in the bedroom. Seriously, can any of these people afford to stay in hotels? 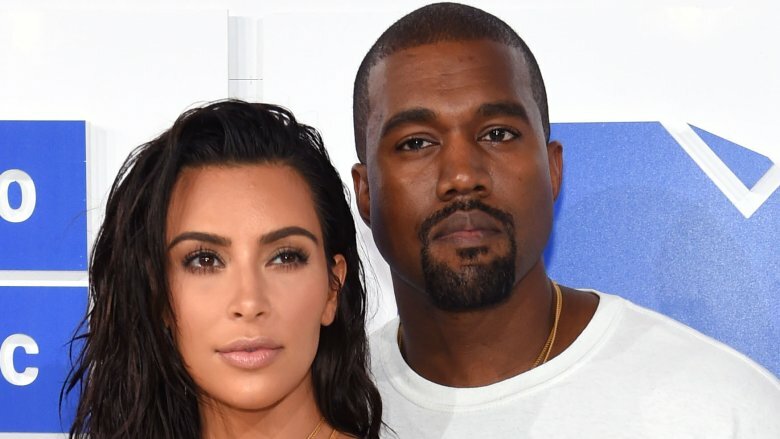 On top of having his mother-in-law around constantly, Kanye West reportedly hasn't been happy with Kim Kardashian's alleged need for paparazzi and press attention everywhere they go. "Kanye is much more paranoid and vigilant about security, but when Kim's not with him, she's pretty relaxed," an insider told Page Six. "She is used to people knowing where she is because of social media, the photographers gather wherever she is. But the truth is it just takes one nut to put her in serious danger. She's going to have to hire a lot more security and be a lot more careful." Kris and photographers aren't the only ones the couple has to contend with regularly. Kardashian's sisters are a constant presence, too, and it sounds like that has its moments. In West's song "XTCY," he raps, "You got sick thoughts? I got more of 'em / You got a sister-in-law you would smash? I got four of them." When Kim Kardashian was robbed at gunpoint in Paris in October 2016, it wasn't just in a hotel — it was in their apartment. Page Six reported that Kardashian and West had an apartment in the exclusive Hotel de Pourtalès for years. An insider claimed, "It's their home … [that may be why the robbery] was so planned out … they knew exactly what room [she was in]." Steve Stanulis, a security specialist who previously worked with the pair, told Page Six the family rarely used armed security guards. "They need to pay for an armed security guard. She almost got killed at gunpoint, because she didn't want to pay for an extra armed and well-trained person." 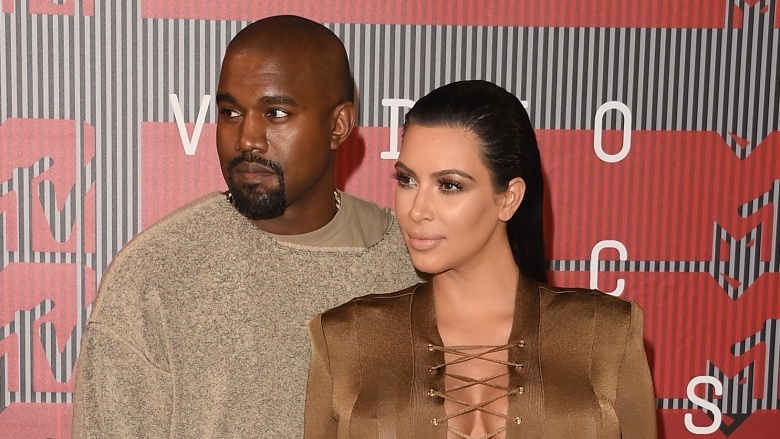 Following the robbery, Kardashian and West have reportedly been much more cautious. "I need someone on every edge of my property. I live in a gated community, and I have them right at my gate," she told Wealthsimple. "It's just what I have to do to make me feel safe or make me able to sleep at night. And I think that had to happen after what happened in Paris." After West's breakdown in November 2016, Kardashian and West lived apart, with Kardashian keeping their children with her. "Kim really wants to protect the kids and will do everything she can to see that that happens, an insider told Us Weekly at the time. 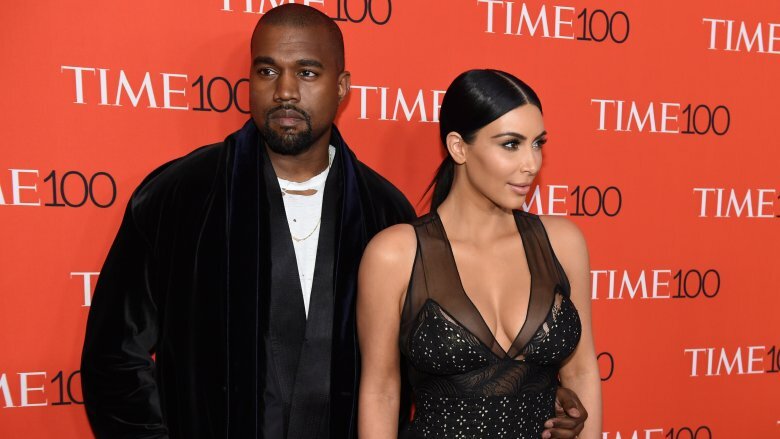 "Kanye has not seen the kids very much since he was released and Kim does not think he should. She has no plans for them to all live together." Sources also speculated that when the couple was together during this tumultuous period, West had a staff of professionals to keep him stable. "He will obviously continue with therapy and there is a family psychiatrist as well as psychotherapist on hand," a source told Radar Online. Insiders told People that the rapper received "outpatient care elsewhere with a medical team." Though that sounds like a responsible and wise decision for everyone, it certainly created another living situation for this family that deviated from the norm. Kardashian revealed that after being robbed at gunpoint in Paris, she became much less of a materialist than she was before, and it's affected her home life with West and their kids. "I worry about giving my kids too much. We don't do gifts. They have to really earn it. But we talk about it all the time, about not getting too much and just trying to be as grounded and well-rounded as possible," she wrote in an essay for Wealthsimple. "I don't like presents anymore. I just don't want that stuff right now. I don't buy a lot." Not so much for Yeezy. Kardashian wrote, "I've been actually downsizing, which has been making my managers happy. Kanye is a bigger shopper than me. He has big archives of stuff. He shops for furniture. He shops for like, everything." In June 2018, TMZ reported that Kanye West sold his New York apartment for $3 million. The pad, located in the Big Apple's swanky Soho neighborhood, was originally two separate apartments in the same building — a two bedroom, two bathroom unit as well as a studio unit — that he had renovated and remodeled into one large unit. West reportedly paid $1.89 million for one unit and $1.25 million for the other, totaling a cool $3.14 million … before the renovations. As a result, West likely sold the property at a loss. It's a shame, because he could have used that cash to put toward the ridiculous swimming pool in his subsequent pad. TMZ reported in August 2018 that Kardashian and West applied for permits to build an insane pool on their $60 million estate in Hidden Hills, Calif., reportedly wanting it to be "lake-like." The pool will reportedly be 60 feet long by 20 feet wide — literally twice the length of most plebeian pools. The construction is estimated to cost more than $50,000, plus a "guard shack" for $12,000 to keep everyone lucky enough to swim there safe. In April 2018, West posted a series of photos of the interior of his and Kardashian's mansion on Twitter, asking his followers if it looks like "the sunken place," a reference to the fugue state that consumes black people at the hands of a white family in the 2018 film Get Out. 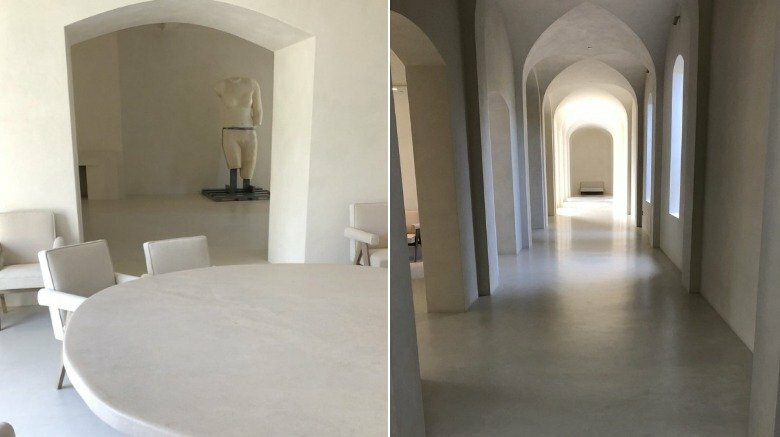 West's photos show a lot of white marble, archways without doors, bone-colored chairs and tables, a mannequin missing limbs, and long hallways. There are no photos, no color, and seemingly no life anywhere, though the windows do allow pretty beams of natural light into the hallway. Kardashian reportedly wasn't thrilled with West exposing their extremely minimalist home interior to the entire world, particularly following her robbery in Paris, after which she vowed to keep her life much more private. "Ummm babe. We had a rule to not show our home on social media!" she tweeted in response to his post. "Soooo can we now allow KUWTK filming in the home?" As for the lack of color, Kardashian admitted to Architectural Digest in January 2018 that her style gets a little difficult with three kids. "Oh my God. I run around the house with towels. You do have to just take a deep breath and say, 'Okay, it's going to happen. We decided to have lighter colors.'"